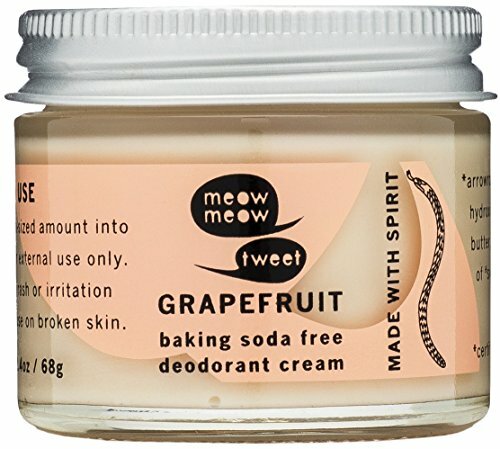 Why we love it: Safe and effective, this deodorant cream from Meow Meow Tweet uses simple, non-toxic ingredients to keep you feeling and smelling fresh all day. Coconut Oil works with Baking Soda to prevent odor causing bacteria while Arrowroot Powder and Kaolin Clay absorb moisture and wetness. An herbal Lavender scent comes from essential oils and gives a soothing, delicate aroma. Gently massage a small amount of product into each underarm for all day benefits.